Off-Road Suspension Package, Front Heated Seats, Tubular Side Steps, Spray-On Bed Liner! This onyx black Crew Cab 4X4 pickup has an automatic transmission and is powered by a 5.3L V8 16V GDI OHV engine. 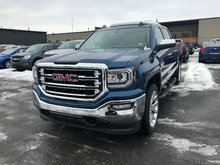 Given that effortless motor it gets 14.1 L/100 km in the city and 10.6 L/100 km out on the highway according to Transport Canada. 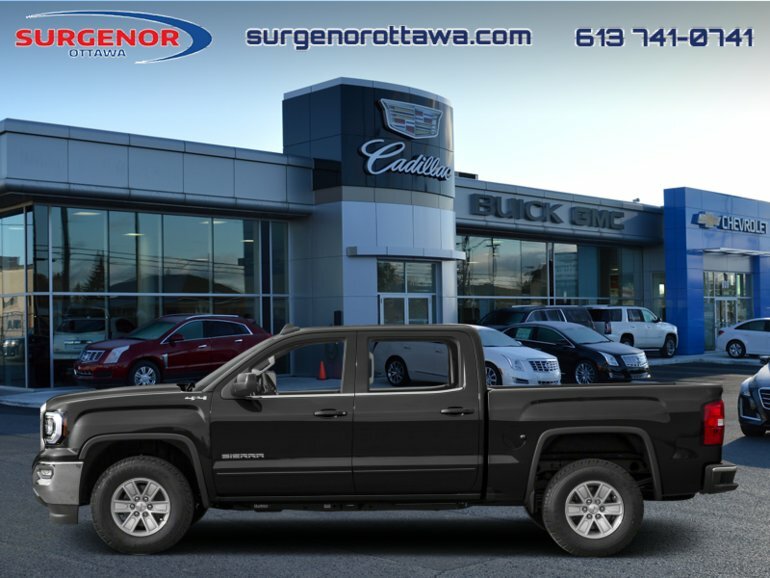 Our Sierra 1500's trim level is SLE. 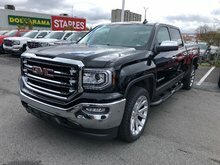 Moving a step above the base Sierra, this GMC 1500 SLE is well worth the extra money and includes many useful features. 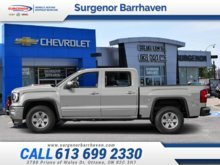 These extras include aluminum wheels, an EZ lift and lower tailgate, 8 inch colour touchscreen with bluetooth audio streaming and a rear vision camera, an upgraded stereo, remote keyless entry and power windows. This vehicle also has the following features: Off-road Suspension Package, Front Heated Seats, Tubular Side Steps, Spray-on Bed Liner.